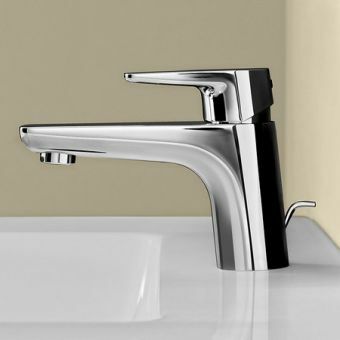 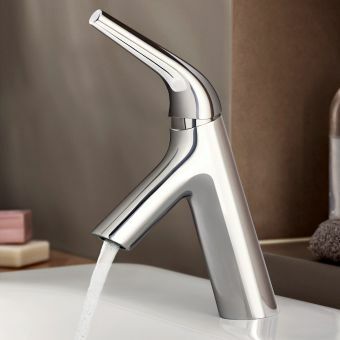 Clad in shimmering and immaculate finishes, this overhead spout tap provides you with a non-conventional approach to filling the basin with its sweeping curved spout. 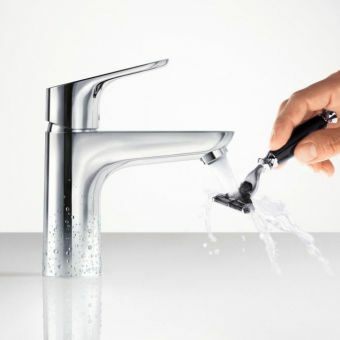 Swadling has built a reputation for innovation and inspiring design thanks to the engineering prowess of their design and manufacturing teams. 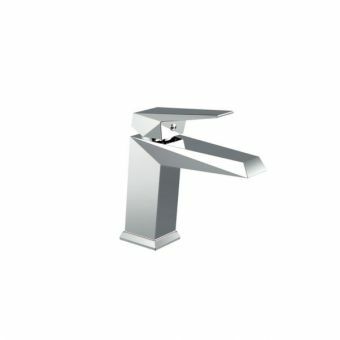 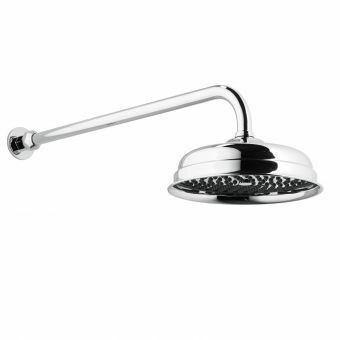 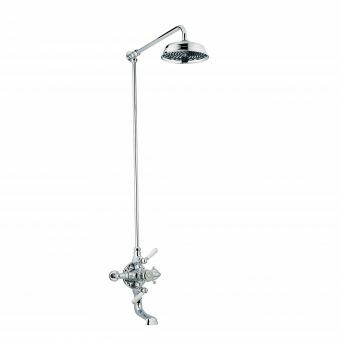 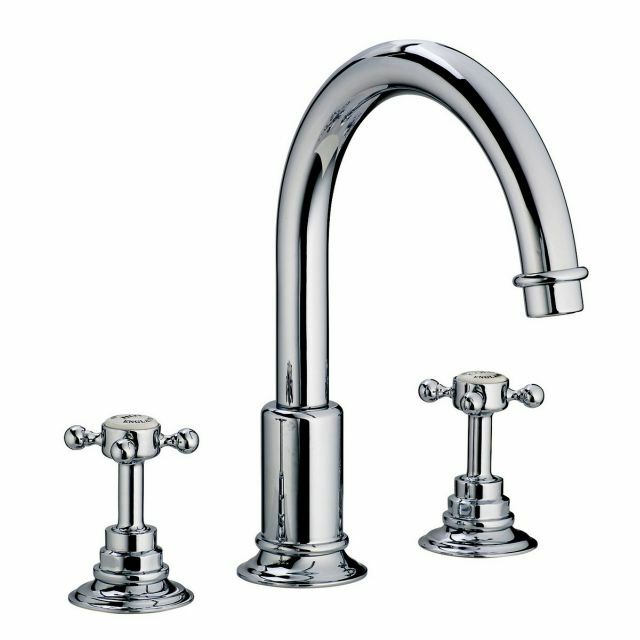 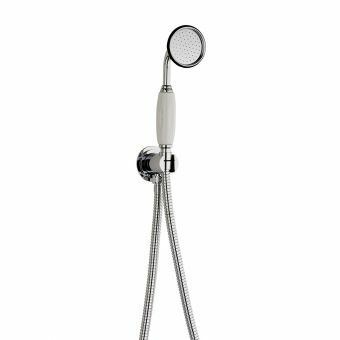 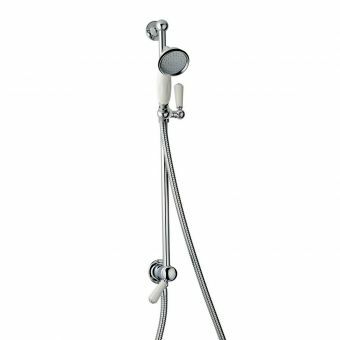 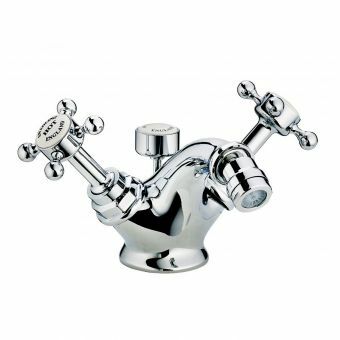 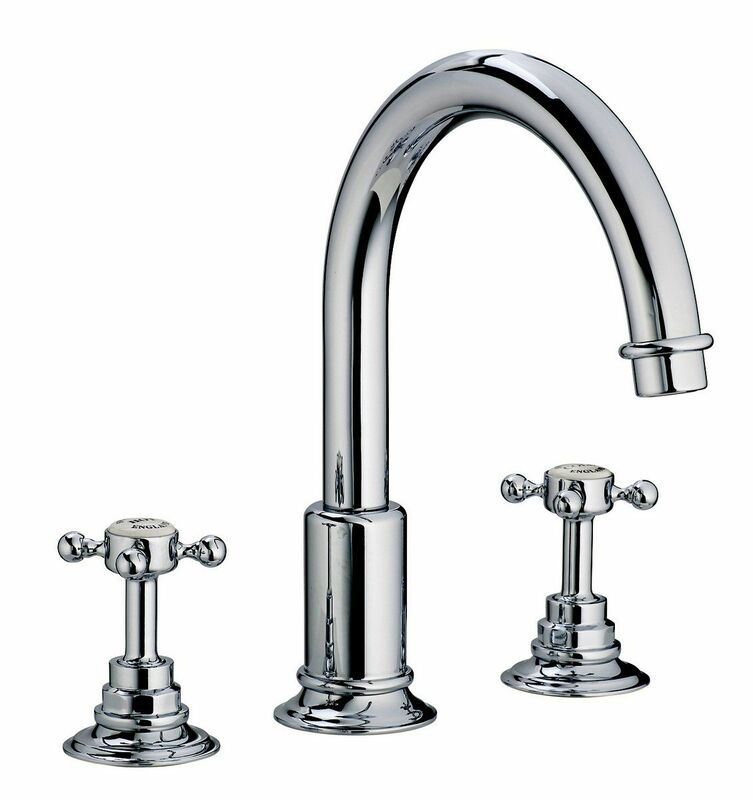 Working efficiently from both high and low water pressure, it stands at an impressive 273mm tall with a spout reach of 195mm. 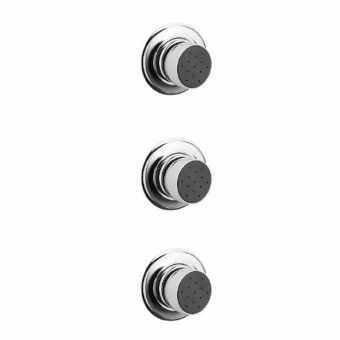 The three-hole approach to the installation allows for individual placement of the controls to give you the best access to hot and cold controls and with countertop bowls becoming more popular every day, this tap set is primed for future bathroom inspiration. 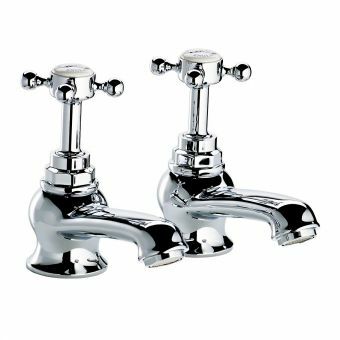 The side taps are easy to grip thanks to their crosshead design with the central discs being available in black or white ceramics with traditional fonts for identification. 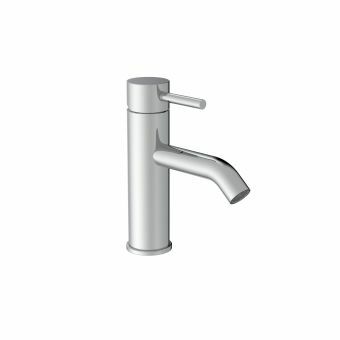 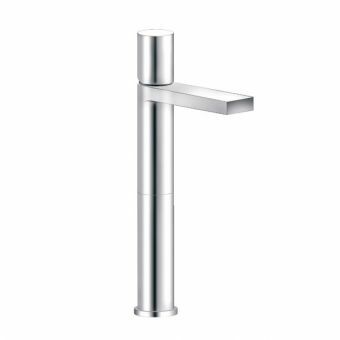 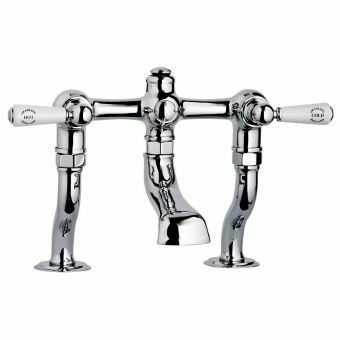 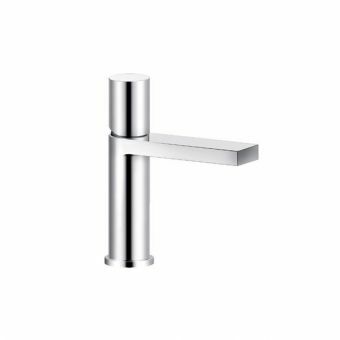 As with all in the Invincible ranges, this tap can be specified in a range of bespoke finishes from Swadling.